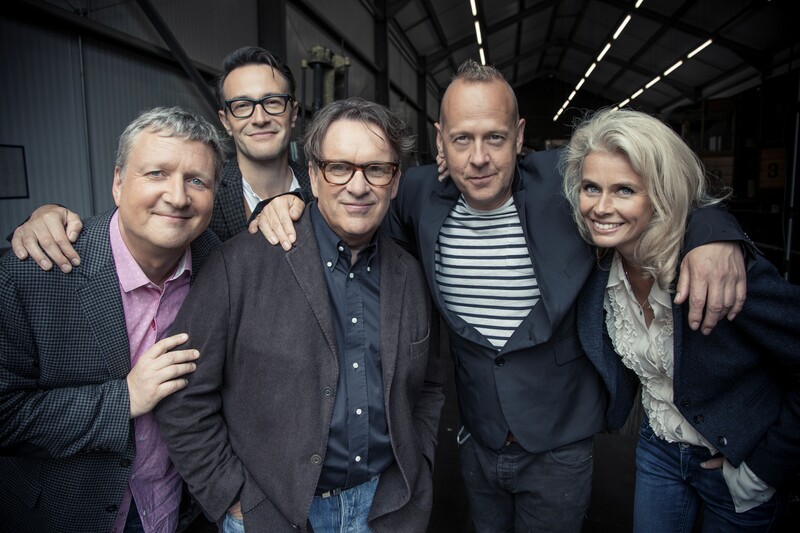 Catching up with Chris Difford’s blog earlier this week, I realised how close we were to a new Squeeze album, the band’s first since 1998, the result of a project also serving as the soundtrack to a new BBC comedy drama series on our screens this autumn. That series is Cradle to Grave, based on broadcaster and national treasure Danny Baker’s best-selling Going to Sea in a Sieve autobiography. And Chris is on a high about the whole experience, as he confirmed when we caught up on the phone to talk about the new album, Cradle to the Grave, and plenty more. The Squeeze co-founder and chief lyricist was speaking to me from his South Coast base, albeit only for a short while as he was off with the family for the afternoon, making the most of a little rare summer. So how does he think it’s all going? 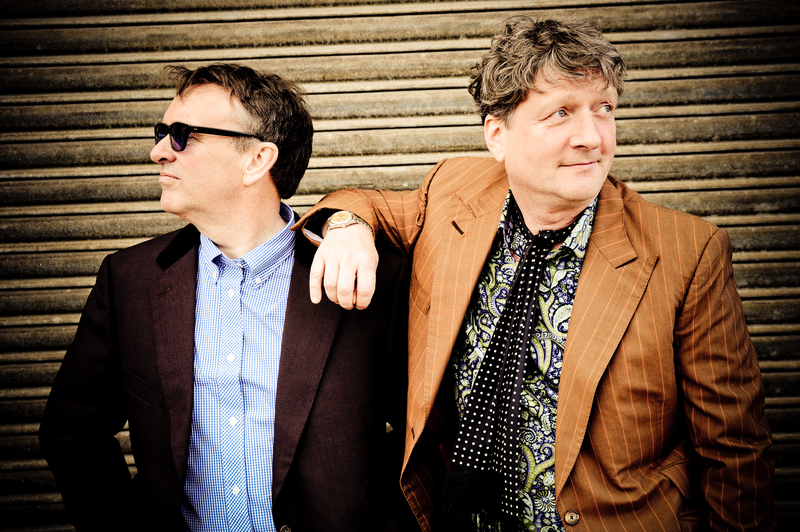 I should add that I have something of a vested interest in the world of the ‘At Odds Couple’ – that’s Chris and his co-writer and fellow Squeeze founder Glenn Tilbrook – after so many years following this South-East London outfit’s recorded and live output. I’m saying that just in case I get a bit gushy at times. But from early hits Take Me I’m Yours, Goodbye Girl, Cool for Cats, Up the Junction, Pulling Mussels (From the Shell) and Another Nail in my Heart onwards, what’s not to love about Squeeze? By the time they reached the acclaimed East Side Story album and follow-up Sweets from a Stranger, they were rightly lauded and loved the world over, that global respect continuing well beyond their initial 1982 split. The hits didn’t altogether dry up after their 1985 reformation, but by then they were arguably more of an album band, their next six long players among my favourite from any era. For those with a low boredom threshold, you’ll find me raving about all that elsewhere on this blog, be it in my general Squeeze appreciation from October 2012 here, my interview with Glenn Tilbrook from December 2013 here, or the features honed after conversations with two of the band’s best-known former keyboard players – namely Paul Carrack here (October, 2014) and founder member Jools Holland here (June, 2015). To fast forward a little, I’ll add that while I loved Cosi Fan Tutti Frutti (1985), Babylon and On (1987), Frank (1989), Play (1991), Some Fantastic Place (1993) and Ridiculous (1995) to varying degrees, their finale Domino (1998) wasn’t so hot. Thankfully that wasn’t the end of the Squeeze story though, their 2007 reunion paving the way for what is now finally coming to pass. As Glenn put it recently, “We split after the release of Domino. Chris and I were not getting on so well, we needed a break and to follow our own paths for a bit. We slowly but surely came back together as people, and then reformed Squeeze. In case it’s slipped you by, they’ve not been idle these past 17 or so years. 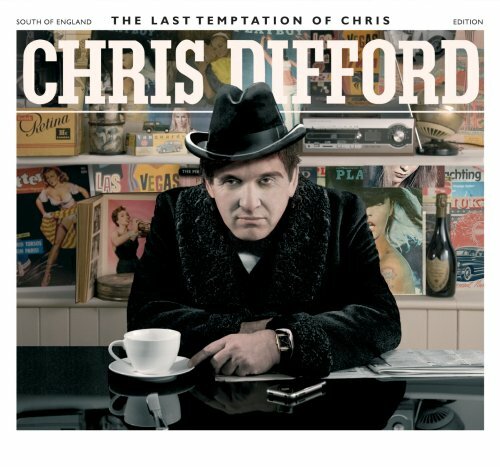 And Chris – like Glenn in his own solo career – has enjoyed a rich vein of songwriting form of late, not least on his The Last Temptation of Chris album in 2008 and Cashmere If You Can in 2011. To my ears, the words on those platters suggest plenty of introspection too, so it doesn’t surprise me – maybe inspired by good friend Danny Baker’s own foray into the world of books – that Chris has an autobiography coming, fittingly titled I Never Thought It Would Happen. Is that because you keep remembering stories you feel should be in there? “Yes, and then I look at the last chapter and go back to the beginning, thinking, ‘That could be written better’ or, ‘There could be more of an angle to that’. At Odds: Glenn Tilbrook gets behind songwriting partner Chris Difford, right, on Squeeze’s big day out at Tenterden on the Kent and East Sussex Railway (Photo: Rob O’Connor/www.stylorouge.co.uk). Back to Cradle to the Grave, due this autumn, and some of the songs – including the title track – were taking shape as the band performed their Pop-Up Shop tour in 2012. Furthermore, I read that the tracks include an old Squeeze number with new words. At this point, Chris is briefly distracted and goes off to sort out a domestic mini-crisis, the Difford clan clearly geared up for their trip out, with just me holding them back. Sorry kids. 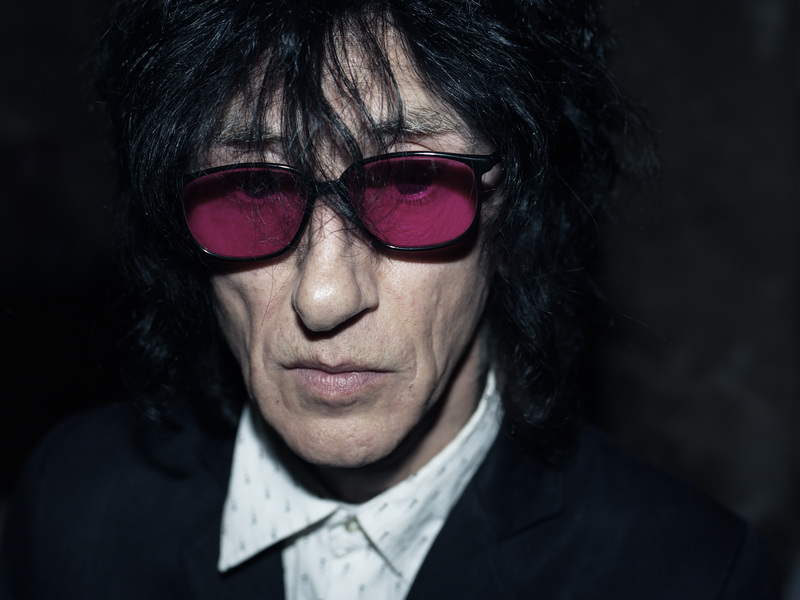 He’s soon back, but I’ll take this opportunity to add a bit more about the new material, including a few quotes nicked from the latest band press release. 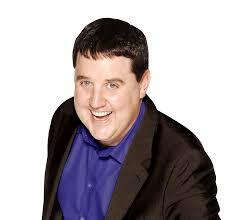 Many of the new songs feature in the aforementioned TV series, providing the backdrop for an eight-part series based on Danny Baker’s life in the 1970s, adapted from his autobiography and co-written with award-winning scriptwriter and producer/director Jeff Pope, comedian Peter Kay playing Danny’s father Fred and Lucy Speed the presenter’s mother Bet. Of course, Danny goes way back with Chris and Glenn, the former NME writer turned TV presenter and DJ brought up in Deptford, the band’s old stomping ground. And Squeeze were involved in the TV project at an early stage. When the team behind the show heard Cradle To The Grave, they were impressed enough to use it as the inspiration for the name of the show. And Chris added: “The scripts were inspiring; hugely funny. It tapped into a period that lyrically I was very familiar with, as I grew up in the same neighbourhood as Danny. Right, back to my interview now, and while this new LP under the Squeeze umbrella will be the first since Domino, as far as Chris is concerned, it’s the first he’s felt a proper part of since Ridiculous, 20 years ago. Meanwhile, Squeeze have a month of dates ahead to promote the album, 21 altogether, although Chris’ chief collaborator is with his own band in America at the moment, so the preparations will have to wait. That’s Lucy Shaw, fresh from Glenn’s band The Fluffers, replacing long-serving John Bentley on bass, with drummer Simon Hanson and keyboard player Stephen Large completing the quintet. It’s the first Squeeze tour in three years, and they have cracking support in the wiry shape of legendary ‘tousled, raven-haired’ Salford bard Dr John Cooper Clarke. He’s not known for his time-keeping. Have you got him under lock and key? I think it’s like with Ken Dodd – once he finally gets on, he never wants to go. You might need to drag him off with a crook. Actually, I was only listening to his radio show on BBC 6 Music yesterday. There was also an At Odds Couple tour not so long ago, Ivor Novello Award-winning songwriting duo Chris and Glenn playing acoustic sets and talking about their songs. Was that quite a cathartic experience? “I think so. It’s been very good for us to go out and play with the bare bones, and I think people enjoy it. Do you tend to find as you talk on stage that you remember a fair bit more about the good and the bad old days as you go along? Well, that was almost diplomatic. If you haven’t quite picked up on it yet, Chris seems to be a man of few words, but he’s more shy than rude, and more droll than excitable. Of course, the fact that his house-load is waiting for him to finish his call might not help. But he’s doing a great job all the same. Before Glenn returns to the UK, Chris has a solo date in Dorset later this month, at the Purbeck Valley Folk Festival on August 30th. He also heads songwriter workshops, has in the past managed Bryan Ferry and Marti Pellow, and currently looks after Irish r’n’b sensations The Strypes too. So how does he fit it all in? While I’m talking solo engagements, it appears that I recently missed a classic not far off my own patch, in Oswaldtwistle, East Lancashire, involving a guest appearance from a certain comic by the name of Peter Kay. I’m a bit sore about that. Tell me it wasn’t worth the short journey, Chris. Mmm, so much for playing it down. In fact, he puts it even better on his own blog, so I’ll nick a bit of that here. “En route to the show I stopped off near Bolton to play a solo show, Peter Kay came by to have some food at my hotel, and then to join me later on stage. He introduced me and the small but very happy crowd were then entertained for the next two hours. “Peter was on top form, with me in stitches like a child at his side. Oswaldtwistle is a small place with a big heart and this show will go down in local folklore as being one of the funniest nights ever. 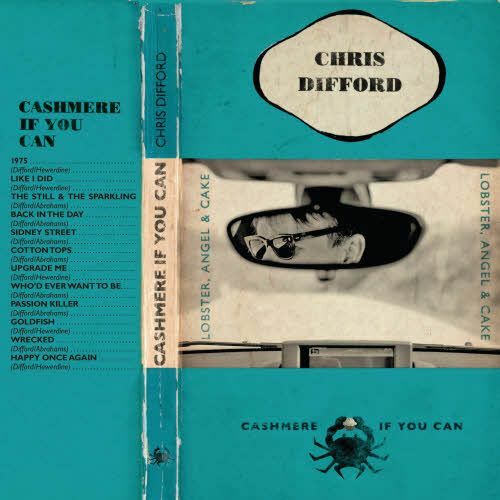 For the record, I love Chris’ solo output, not least as it has his individual stamp on it. In fact, the last two albums are probably as close to Badly Drawn Boy, The Divine Comedy, The Go-Betweens and The Lightning Seeds as Squeeze. I also confess that I always felt of Chris – and I’m sure this is the case for many of us – as the poet and Glenn as the musician. But recent work by both artists seems to have put all that to bed. I’m sure that makes it more interesting for both of you too. You’ve worked with other fine songwriters as well as Glenn, most recently Leo Abrahams on the last solo album, and Boo Hewerdine before that. So I have to ask, were you aware of Boo and Neil MacColl (who has also featured on his recordings) back in their days with The Bible? I did similarly a few years back. I was a fan of The Bible, but kind of missed out on the solo material for a few years, catching up quick with the help of good friend and fellow blogger Jim Wilkinson, who just happens to be a big Boo and Squeeze fan. The live shows start at Plymouth Pavilions on September 25 and go through to Harrogate International Centre on October 24. That includes Liverpool Philharmonic Hall on October 5 and Manchester’s Bridgewater Hall on October 12. Does he get to do a bit of sightseeing, or is it just a case of moving on to the next town? It’s a bit different with Glenn, who’s one to drive around in a big old bus when he’s touring. Now there’s a great tour idea – Chris Difford Gets on his Bike. I remind him that Housemartins and Beautiful South founder Paul Heaton did something similar. He laughs, but won’t commit himself. Talking to one of Chris’ former bandmates recently, Jools Holland, I thought it nice that he said what he misses most while he’s touring is playing piano at home. That sounds like a man doing the right job for a living. So I’ll ask you the same thing – what do you miss most? 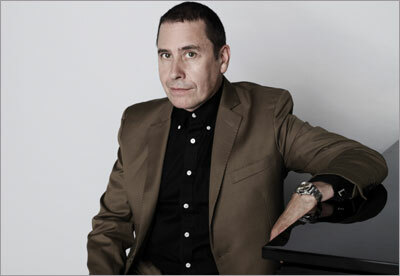 Do you keep in touch with Jools? I was lucky enough to be there for his recent televised big band show at Blackpool’s Empress Ballroom, I add. Do you struggle to associate Jools the TV star with that young lad with Hell’s Angels mates who first came along to check out you and Glenn all those years ago? Interviewing Tom Robinson last week, I was surprised he was 65. Now I’m talking to a mere 60-year-old. Has Chris got his head around that yet? Or does age not mean anything? I still like to think a reluctant and shy Chris continues to post his lyrics under Glenn’s door when he’s finished them, like in the band’s early days. Or does that involve too much of a wander these days? There have been a few well-documented fall-outs over the years. Do you think you’ve learned better to deal with each other these days? You’ve always had tremendous respect for each other, but there have been a few ‘living in each other’s pockets’ tensions. Jim Drury, in the excellent 2004 Squeeze: Song by Song book, reckoned he was surprised the Odd Couple’s working relationship lasted so long. But they’ve clearly got over all that now. He also described Chris as the ‘introverted, urbane wordsmith’ to Glenn’s ‘outgoing inventive entertainer’. Was that fair comment? There were always plenty of big-money offers for Squeeze to get back together. What changed by 2007 for you to try again? With that, Chris – who also has a grown-up son and two grown-up daughters – was away, save for a couple of exchanges about his beloved Louise and his house’s younger occupants, something he referred to as ‘Noah’s Ark’. But it was 1pm by then and he had to jump in the car, closing with a cheery ‘Bye now’, no doubt with bucket and spade in hand. It was definitely a pleasure to link up with this musical hero of mine, one – together with Glenn – right up there with the best UK songwriters as far as I’m concerned. Some 42 years after 15-year-old Glenn answered 18-year-old Chris’ ad in a South-East London sweet shop, the mighty Squeeze continue to impress. If he came over here as a ‘one-line answer’ man, don’t be fooled. There was plenty of warmth and humour from this pensive guy behind the deep voice. I’ve had some difficult interviewees over the years, but I wouldn’t count Chris Difford among them. Shy maybe, but certainly with no front I’m aware of. I had a few more questions about his management side-career, the Labelled with Love musical and whether there might be a follow-up some time, and several more addressing memories of Squeeze at various times over the last four and a bit decades, from those initial residencies in Deptford and Greenwich onwards. A fair bit of that is in the songs anyway, for instance the wonderful 1975 – covering those early band days – and Like I Did – about his family growing up – on Cashmere if You Can. Hopefully the autobiography will tell us more too. But first there’s that intriguing Danny Baker project and that new Squeeze album and tour. And I for one can’t wait. For details and tickets of the tour, call 0844 811 0051 or 0844 826 2826, head to gigsandtours.com, http://gigst.rs/Squeeze, or ticketmaster.co.uk. Tickets for the Royal Albert Hall in London are £25 to £75, with others ranging from £32.50 to £47.50. 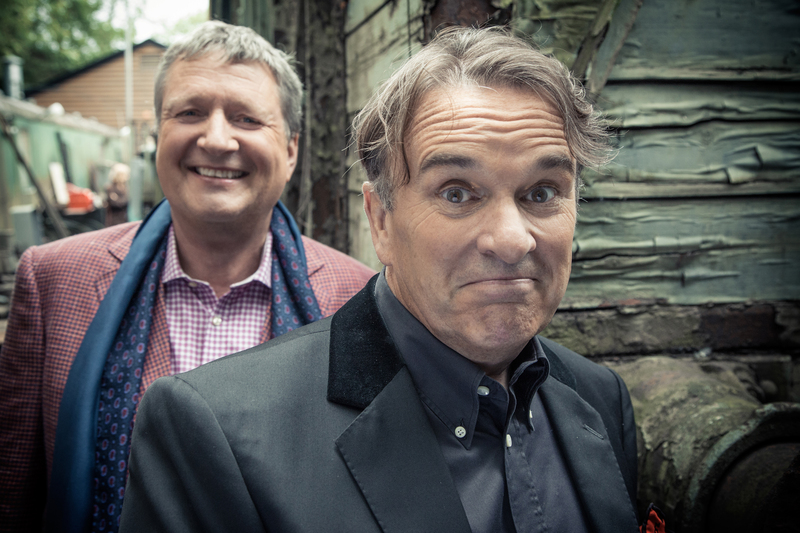 Alternatively, head to the official Squeeze website here or Chris Difford’s own site here. This entry was posted in Books Films, TV & Radio, Music and tagged Boo Hewerdine, Cashmere if you Can, Chris Difford, Cradle to Grave, Danny Baker, From the Cradle to the Grave, Glenn Tilbrook, John Cooper Clarke, Jools Holland, Leo Abrahams, Lucy Shaw, Peter Kay, Ridiculous, Squeeze, The Last Temptation of Chris, Up the Junction. Bookmark the permalink. Thanks for your comments, Walt. Don’t rule it out though. Glenn loves riding that big bus of his all over. If he can persuade Chris and the rest of the band, you could yet have your own private Idaho show yet (excuse the bad pun, but anything with a B52s twist is alright by me!). I’d certainly love that. One concert was all it took to get my wife hooked on Elvis Costello’s music, and since she already likes a few Squeeze songs, I think it would be even easier to get her hooked on their music. 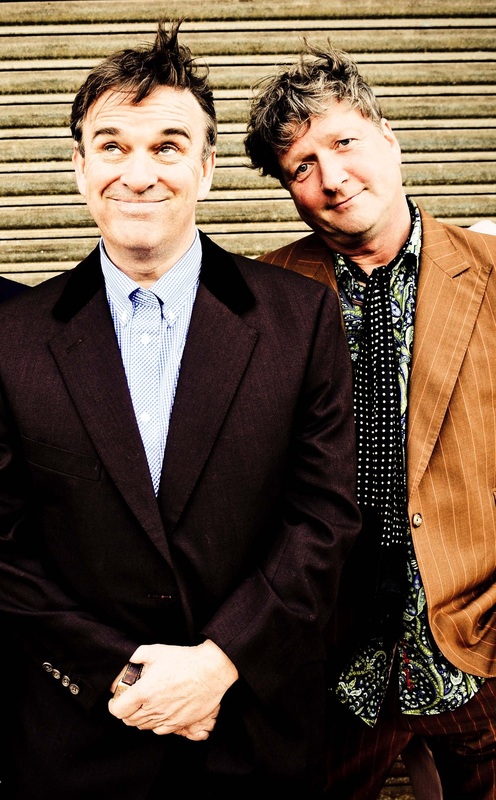 Just updating my original reply from a year ago, I recently spoke to Glenn Tilbrook and he filled me in on Squeeze’s latest US travels (feature/interview to follow later this week) … including that long-awaited visit to Idaho. And now I see from your blog that you made it along (I’m guessing to the Egyptian Theatre in Boise), having mentioned to Glenn how you wanted them to drop by. Pleased for you, Walt. Thanks so much for the Squeeze update.